the funnymen of radio and television are set to return to Nine in a brand new series. As a result the pair now say want to focus their efforts on this medium only. Next year will be their last year on radio. In the penultimate radio ratings last month (survey seven) Hamish & Andy opened up a sizable gap to again reign supreme in Melbourne drive time commercial radio. The pair gained 2.3 points to a 13.3% audience share, which is a 5.5 point lead over nearest FM rival Nova's Kate, Tim and Marty on 7.8%. The pressure will no doubt be on SCA to secure appropriate talent to ensure it holds strong in the prime time drive slot. “In light of new TV arrangements we were actually thinking of finishing up this year, but we are having so much fun so it seemed crazy to stop,” Lee says. “It’s been 13 years of regular radio with SCA. It’s been awesome and our listeners are awesome, so it’s nice to head into 2017 with them knowing it will be our last.” Blake added. 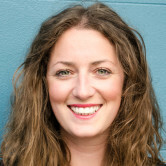 Hit Network’s Head of Content Gemma Fordham says The Hit Network has been their home for 13 years and it looks forward to jumping back into the archives and “reliving the magic that has made them household names and the country’s unrivalled radio duet”. “They are working on a ‘10 Years in 10 Weeks’ special that will be mandatory listening for their fans, who have made them Australia’s number one FM drive show,” Fordham says. Hamish & Andy will ease their fans back in to the new year and extend the holiday with their ‘10 Years in 10 Weeks’ special from Monday 16 January 2017 while they complete their new TV show. From Monday 27 March they return live to the drive shift for another year of Hamish & Andy adventures and merriment. Hamish & Andy, who previously fronted four Gap Year series for Nine, as well as two Caravan of Courage specials, will star in an all-new format show next year. 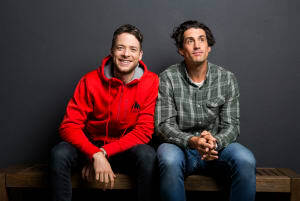 After 13 years of radio, the host's of Southern Cross Austereo’s (SCA) Fox FM drivetime show, Hamish Blake and Andy Lee, will leave the business in order to focus on their TV careers. As announced at Channel Nine's Upfronts, the funnymen of radio and television are set to return to Nine in a brand new series. As a result the pair now say want to focus their efforts on this medium only.